The following article is written by Senior Associate Ruth Loetterle. CRJA kicked off 2017 with an office-wide “Greenstorming” session to generate ideas about additional green practices that we could establish at our new home at 21 Custom House Street. Always keen to employ sustainable and resilient practices in our projects, we wanted to be sure that we were employing them back at the office as well. 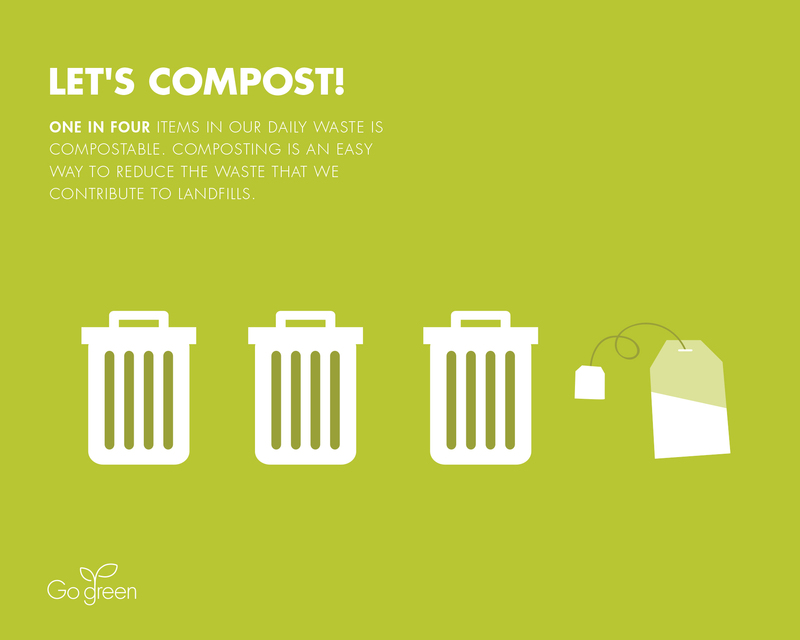 Through the years, we have taken steps to reduce our paper consumption, our landfill contributions and our electrical consumption, but we wanted to do more. 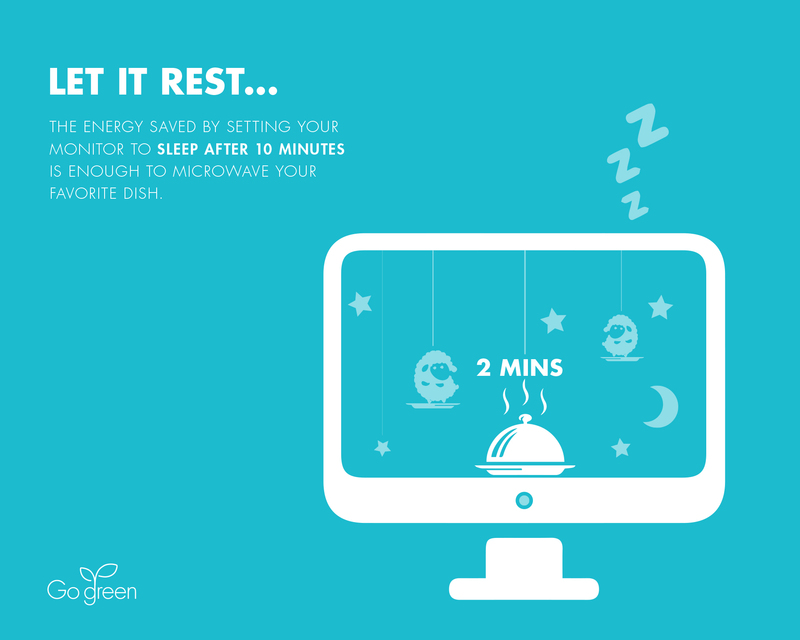 And so our Go Green initiative was launched. 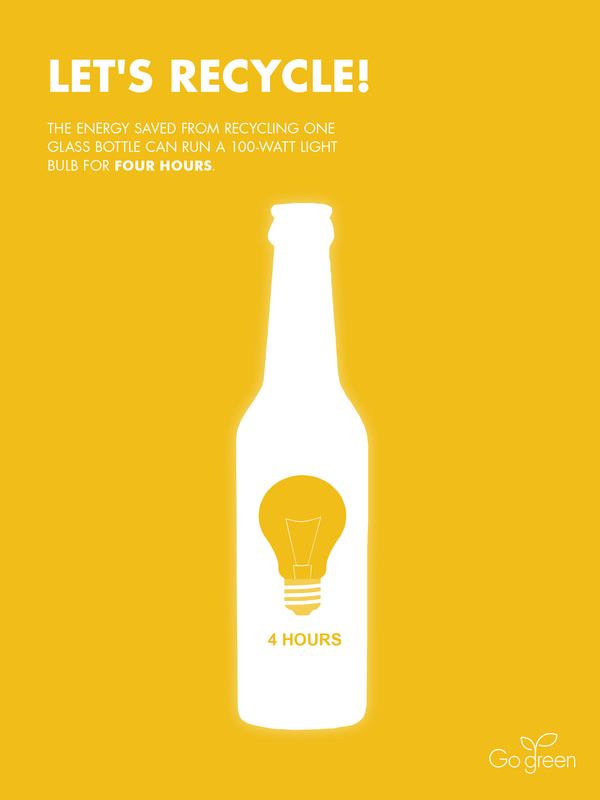 With the ideas generated under the three goals of Inform, Promote, and Celebrate! as our guide, 2017 has been dotted with implementation of them all. We’re still working on implementing a kegerator for our Friday Happy Half-Hour beverages to reduce bottle usage. First we worked with the building manager to install a keypad by our stairway door, allowing us to use the stairs in lieu of the elevator, saving energy and promoting healthy lifestyle choices. 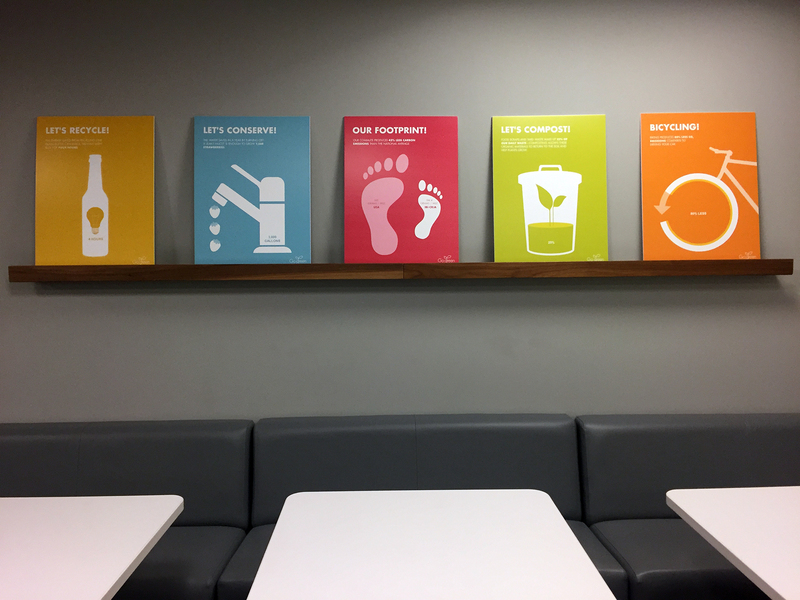 Then we contracted with a composting service to further reduce our landfill contributions, and we created signage to clarify the proper bin–compost/recycle/landfill–for most kitchen items. We were even able to include our office pumpkins from the 2017 Pumpkin Carving Contest in with the compost. 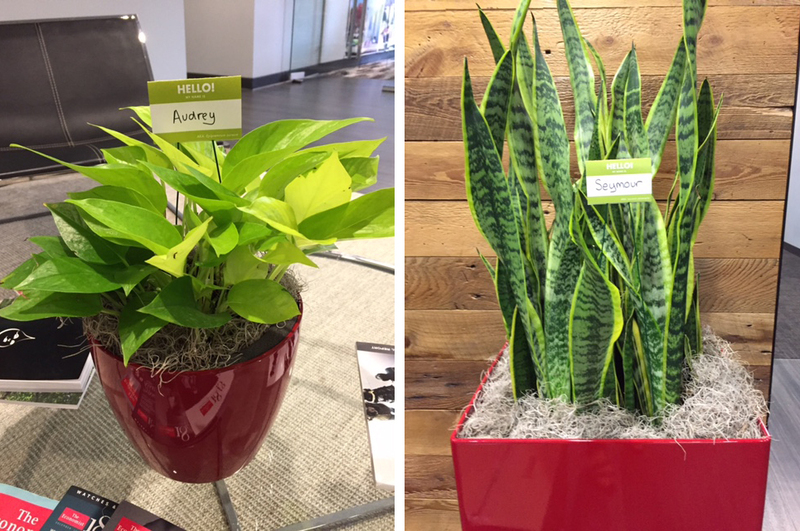 Next we welcomed and named a host of plants into the office to help purify the air space. 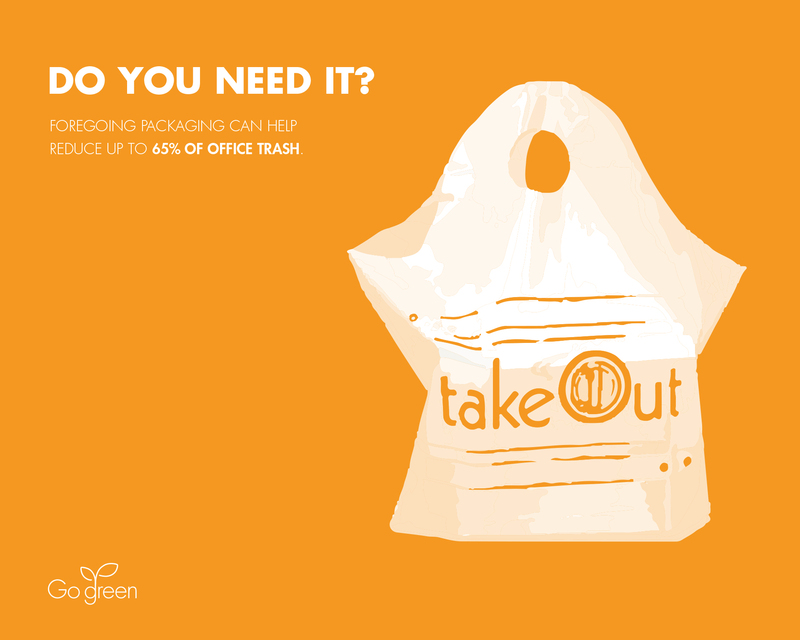 And finally, we created a collection of signs and posters–demonstrating our versatility as landscape architects–to inform and promote other green initiatives such as reducing water and paper consumption, composting, recycling, making thoughtful lunchtime packaging choices, using the stairs, reducing our monitors’ electrical consumption, and bicycling. 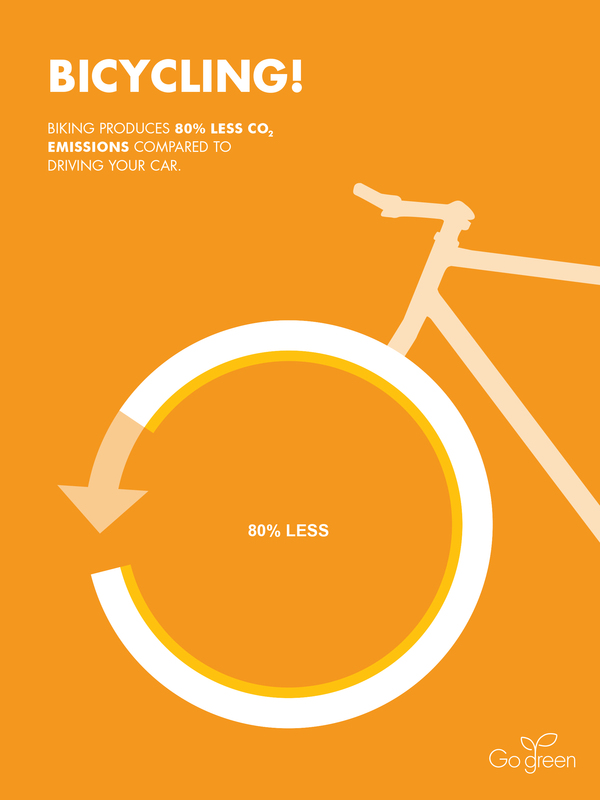 CRJA is the main contributor of bicycles to the building’s bike rack! The end of 2017 was marked by three additions to the office signage and saw us meet the last goal, Celebrate! While we are proud of the steps we’ve taken through the years to be a greener workplace, one of them, our collective green office commute, is a special point of pride. Our move to Boston in 2001 was the result of careful consideration of a location that would enable staff to use public transportation. Located halfway between South and North Stations, and in short walking distance to the four subway lines, we are an office of MBTA riders. Recognizing the value of our central location, we applied the same criteria for our search for our new office space in 2016, and not surprisingly, ended up just a block from our original Boston location. When the celebration of our collective commute was suggested at our Greenstorming session, Duncan Allen, an IBI colleague with transportation systems know-how, volunteered to help make the idea a reality. Detailed commuting data was gathered office-wide, and Duncan’s calculations filled a chart revealing our miles spent commuting by foot, bike, MBTA, and car and comparing that data with the national average. An open competition to turn that data into compelling graphics yielded three unique celebratory posters that were perfected with the help of Christy Sweeney, our graphic designer extraordinaire. 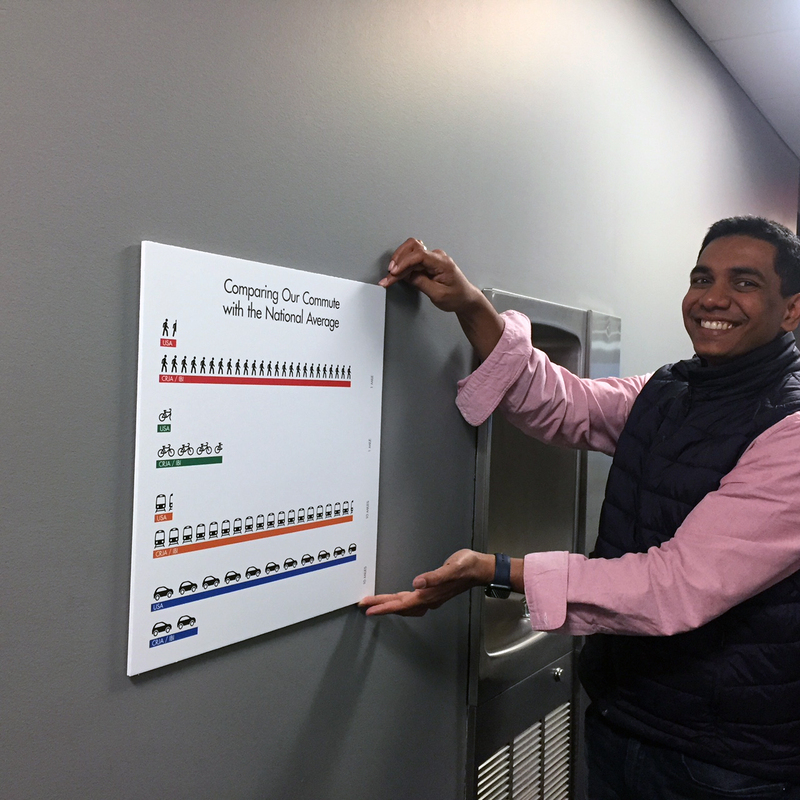 Qian Pan selected the comparison of our carbon commuting footprint to the national average and created a fun addition to our poster wall in the kitchen. 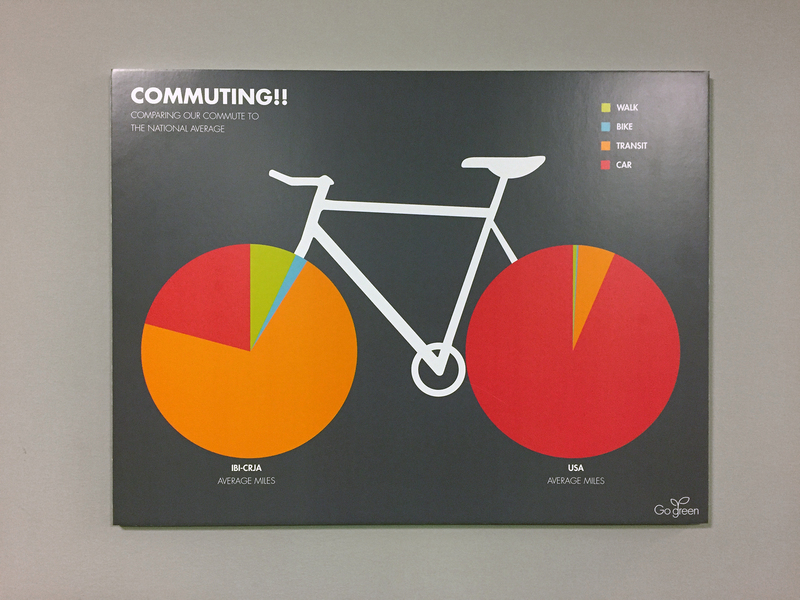 Kristina Stevens transformed the commuting data by foot, car, subway and car into a terrific bike graphic. 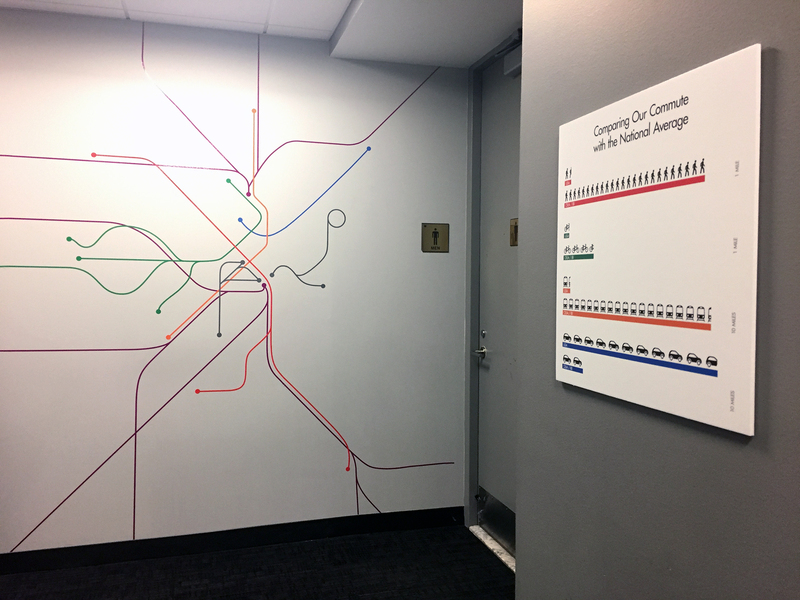 Ruth Loetterle, with the graphic help of her daughter, Audrey Bennett, interpreted the same commuting data using the MBTA colors to complement the MBTA map that occupies an office wall. All three signs were hung with fanfare before 2017 faded away—just in time to mark the arrival of 2018 with Greenstorming Part 2!